Champion's Duraseal targets are a blast to shoot with their self-healing ballistic polymer design. 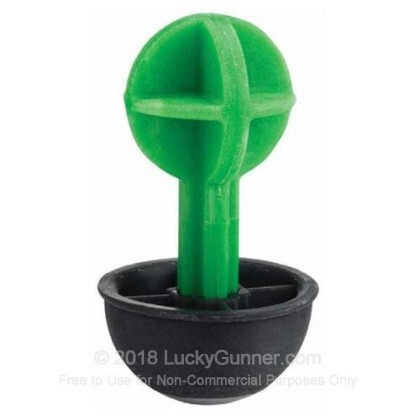 This reactive target will bobble around erratically on positive hits before returnng to an upright position, providing the shooter with a constantly changing target profile. After each successful hit, this target self heals and the weighted base stands it back up allowing for extended use without having to reset. This 3D "cactus" can be shot with .22 LR up to larger rifle calibers and will last for hundreds of shots. This lightweight design also makes this target much easier to carry back and forth to the range compared to traditional 3D reactive targets. Champion is owned by ATK (parent company of Federal, CCI, and Speer) and is an industry leader in ear and eye protection for the shooting sports. Q: How big is the target? 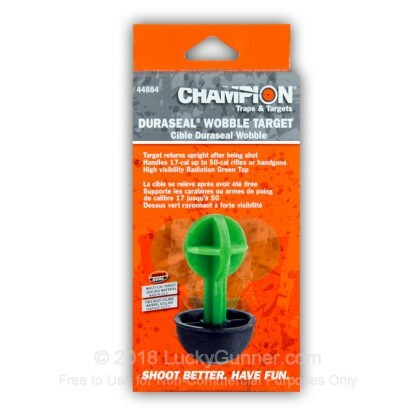 A: The Champion wobble target you asked about is 6-inches tall and about 3-inches wide. Just let us know if that doesn't answer your question.